The Empire State Building shines red and green and blue and white for Christmas and Chanukah. The Empire State Building this week would like to wish a very Merry Christmas, Happy Chanukah, Merry Christmas and Happy Chanukah. That is, if you're reading the skyscraper's lights clockwise. This week's color schedule calls for red/green/green on the north and south sides, while the east and west sides are blue/white/blue. 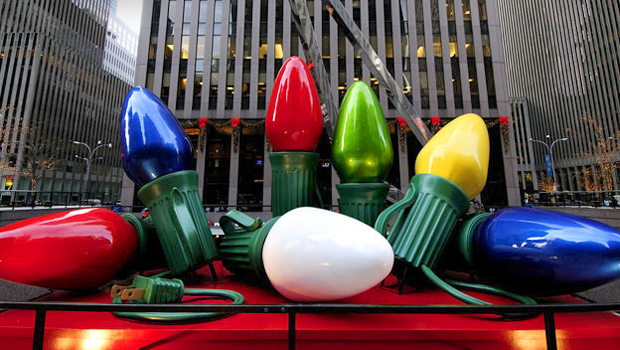 The city's tallest structure will light up for both holidays through Sunday night, when it goes back to just the red and green scheme until January 6. 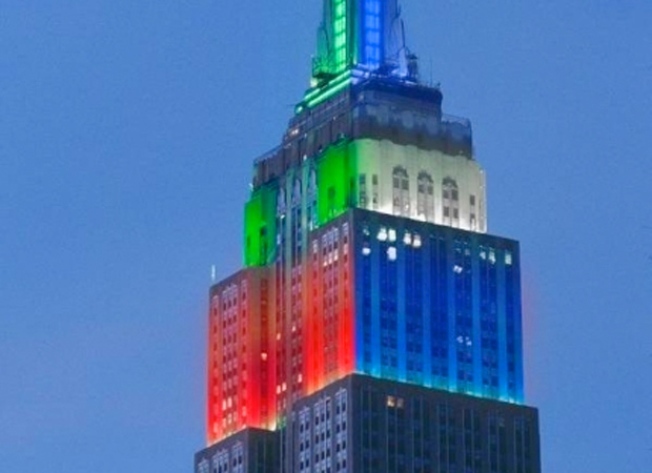 On Election day in November, the Empire State Building split its colors for Republicans and Democrats. In August, it also split the side colors throughout the Olympics to squeeze in the flag colors from one country per side each night. The Empire State Building has been using colored lighting since 1976, when the all-white scheme got a rotation of red, white and blue to celebrate the American Bicentennial.